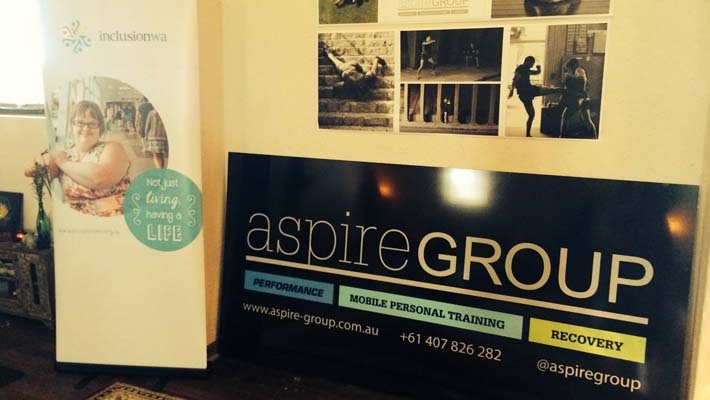 Aspire Perth have partnered with Inclusion WA to offer some fitness sessions that can be accessed by people of all ages and abilities! The first session is on this Sunday the 26th October, starting at 9am. For just a gold coin donation, the morning will include a mixture of bodyweight exercise, interval & high intensity training followed by a chance to kick back with the team over some delicious and nutritious smoothies and treats. If you are in a bit of a fitness rut this could be a great way to get back into exercising. Come down, go at your own pace and enjoy some expert fitness coaching. All money raised on the day will go to Inclusion WA.